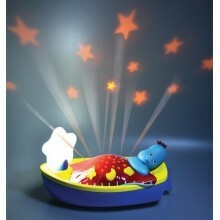 Igglepiggles Boat lights up and plays lullabies to help children to sleep. From the popular TV series In the Night Garden, this Igglepiggle Mini figure is sure to be a hit with any young fan! From the popular TV series In the Night Garden, this Upsy Daisy Mini figure is sure to be a hit with any young fan! 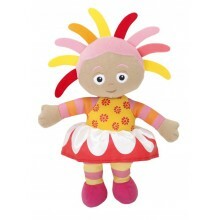 Have hours of fun with the In the Night Garden Upsy Daisy Talking Soft Toy. Perfect for all In the Night Garden fans, this talking plush soft toy includes familiar song and sounds from the popular CBeebies show. Little ones love to snuggle up to this Lullaby Igglepiggle Soft Toy from the hit TV show In the Night Garden. He has a super-soft huggable body - squeeze his hand to hear his favourite lullabies and watch his cheeks glow different colours as he gently sways to the music. 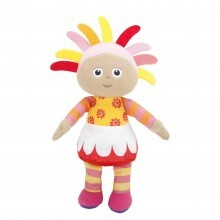 This 30cm tall doll is great for children aged 10 months and up. Igglepiggle needs 3 x AA batteries, which are included. 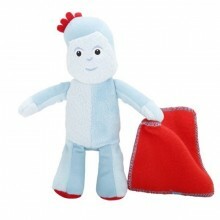 Have hours of fun with the In the Night Garden Igglepiggle Talking Soft Toy. Perfect for all In the Night Garden fans, this talking plush soft toy includes familiar song and sounds from the popular CBeebies show. 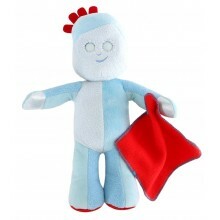 From the popular TV series In the Night Garden, this Igglepiggle Mini Soft Toy is sure to be a hit with any young fan! From the popular TV series In the Night Garden, this Upsy Daisy Mini Soft Toy is sure to be a hit with any young fan! From the popular TV series In the Night Garden, this Makka Pakka Mini Soft Toy is sure to be a hit with any young fan!